This DI class A new generation is intended both for the studio and stage. It is equipped with a buffer and a Carnhill VT24499 transformer. The two positions of the switch buffer are to experiment in each new situation: the effect on the transients and the top of the spectrum of the buffer can be decisive, even for the sound made by the amp. - Very high input impedance, greater than 4 megohms thus not charging the source. - Input impedance independent of pad position. 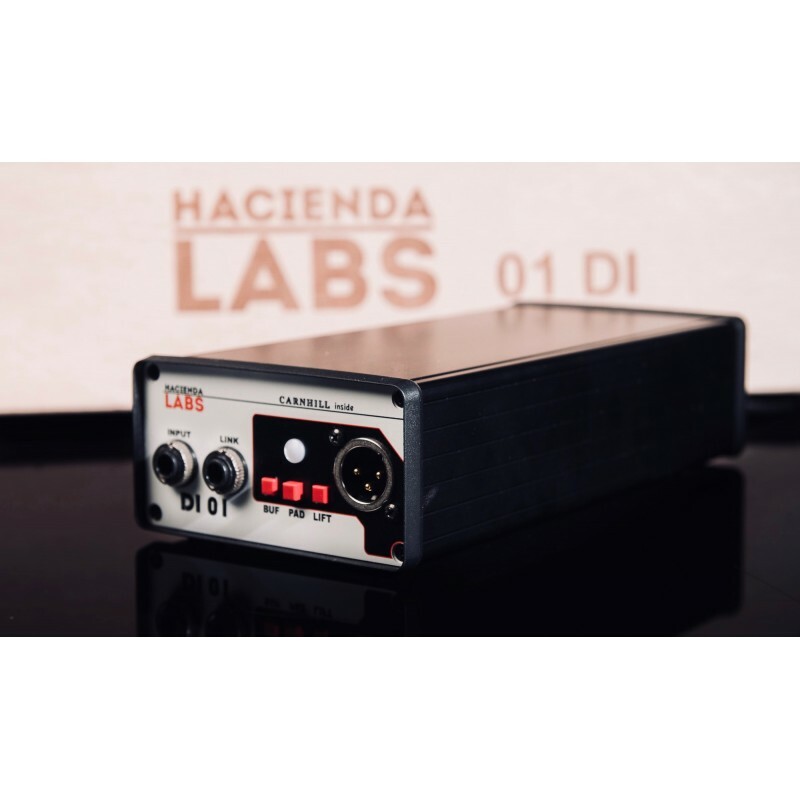 - Output link either directly or after a buffer, to overcome the cable length problems between the DI and the amp, avoiding losses on amps or pedals with low input impedance. 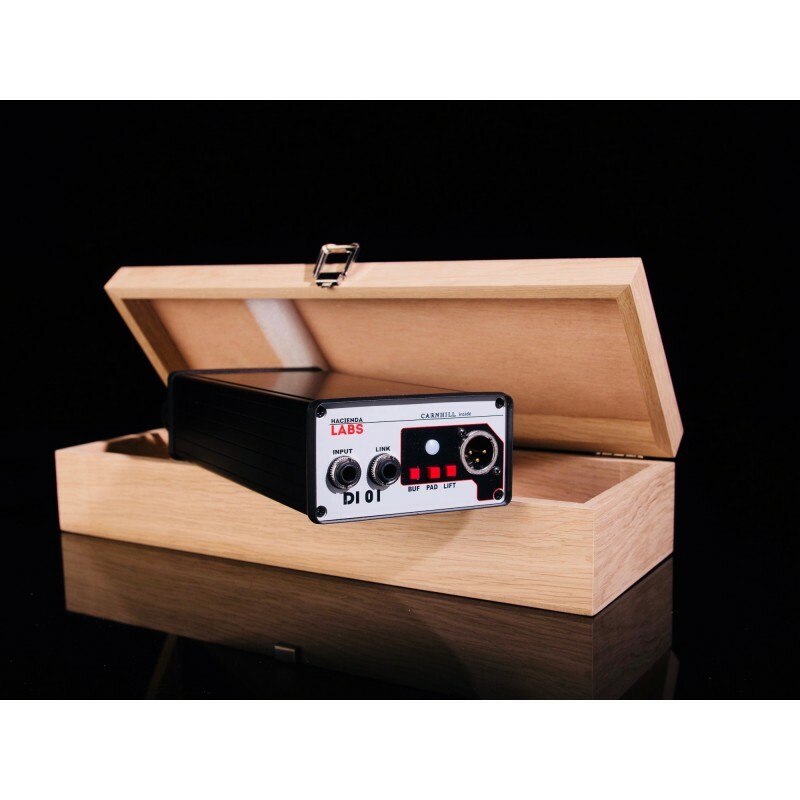 - Gain 0db or +12.5 dB, to attack the preamp or input of the converter in the best conditions. - Earth lift on the XLR output to avoid "ground loops". - Exit on the legendary Carnhill transformer ensuring total galvanic isolation and exceptional sound. - Class A push-pull power stage, inspired by vintage HI-FI output stages: a must guarantee exceptional roundness and transient performance. - Switched power supply base for optimal operation regardless of the power source (from 90V to 250V ..). - Power supply and signal presence visualization led to a significant gain of time both on stage and in studio on some heavy set-ups. - Can be used perfectly as an output stage of a console or a treatment without performing outputs. Material built by hand in France, fast maintenance ensured.